On September 11th, 1973, Chile’s Popular Unity government led by President Salvador Allende was overthrown by a military coup staged by General Augusto Pinochet. One year earlier, in autumn 1972, I had conducted 25 interviews with media and political personnel in Santiago and Valparaiso. 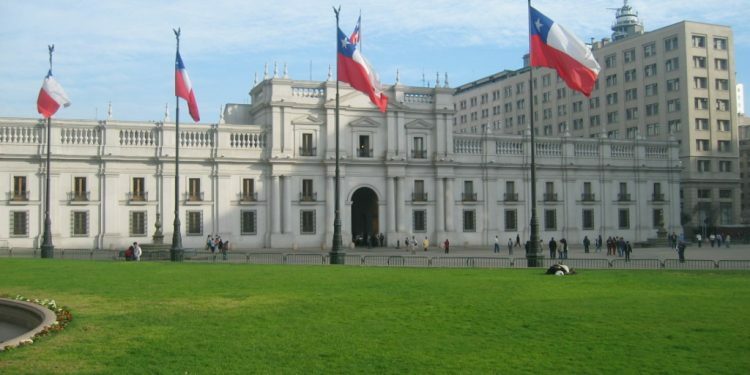 The Catholic University of Chile had asked me to mentor two of its young political scientists who wished to pursue research on Chilean political communication. Seeking background for this task, I interviewed newspaper editors and journalists, television station directors and newspeople, university rectors responsible for overseeing three of the stations they owned, radio station managers, and Socialist and Communist Party officials. Those conversations shaped my analysis of the communication factors that led up and contributed to the tragic coup and subsequent dictatorship. They also shed light on two fundamental sources of problems and dilemmas that are now bedevilling established democracies in the West. One is the divisive and discourse-coarsening onset of political and media polarization. The other is the accumulation of doubt over whether political reporting can or should be guided any longer by journalism’s conventional norms of objectivity, impartiality and neutrality. Altogether, the Chilean case is a petri dish of what happens when the wrong “bacteria” are mixed together — elite polarizing, intense mobilization, exacerbated media partisanship. As the Chilean case shows, it would be dangerous to carry on in politics and communication as we have been in recent years. President Salvador Allende was elected in 1970 and his party — Unidad Popular — had promised to pursue a uniquely “Chilean Road to Socialism.” Banks, copper and other industries were nationalized; land reform was introduced, with large estates broken up and redistributed; wages were tied to an index of prices; and a system of economic planning was initiated. Such success was not long-lived, however. By 1972 the government faced a host of formidable problems. Chile’s economy depended heavily on income from the export of copper, international prices of which had fallen drastically. The national debt (on which interest had to be paid) consequently rose sharply, inflation sky-rocketed, and bread-and-butter conditions worsened, including widespread food shortages. An intense battle for public opinion consequently ensued, in anticipation of the parliamentary elections to be held in March 1973. Allende’s election had also marked a sharp turning point in how political communication was organized in Chile and in the kinds of messages produced. With so much perceived by prime actors to be at stake, the political temperature heated up, sometimes even expressed apocalyptically. For some Popular Unity informants, opposition forces were “the enemy.” The manager of Radio Agricultura (an opposition station) told us that a government victory in 1973 would be “the end of Chile as we have known it.” Most news organizations became party political organs, either via ownership (e.g. the Christian Democrats had recently purchased the La Prensa newspaper and the Socialist Party had bought Ultima Hora), or through the editorial lines they persistently promoted. By 1972, five national newspapers were determinedly on the government’s side, while another five were aligned with opposition parties. (One newspaper, Tercera, professed partisan neutrality, striving to appeal to a market segment of uncommitted readers.) A number of radio stations converted from record-playing and rip-and-read newscasters to political conscientization mouthpieces. Of the four national television channels, two spoke predominantly for the government and two for the opposition. It is true that television was to some extent the Chilean system’s “odd medium out,” since it was under a statutory obligation to be pluralistic and its university-owned channels were supervised by diversely composed Boards. In practice, however, the pluralism was more token than substantial, implemented mainly in the allocation of party political broadcasts. Channel directors and news department heads were party appointees, who ensured party-sympathetic coverage of political events and advocacy. The predominant political complexions of the staffs of the TV news departments were known to all. Drastic changes in the media’s political content resulted. More political material, both absolutely and relatively, was transmitted. More access and more favorable access was granted to spokespersons of the side a media outlet supported than was formerly the case. These could take the form of presenting lengthy statements from allied politicians (which could run to five minutes on television). Broadcast interviewers did not hesitate to counter and contradict points made by opposing interviewees. The partisanship graduated down from commentaries and op-eds to news reports. 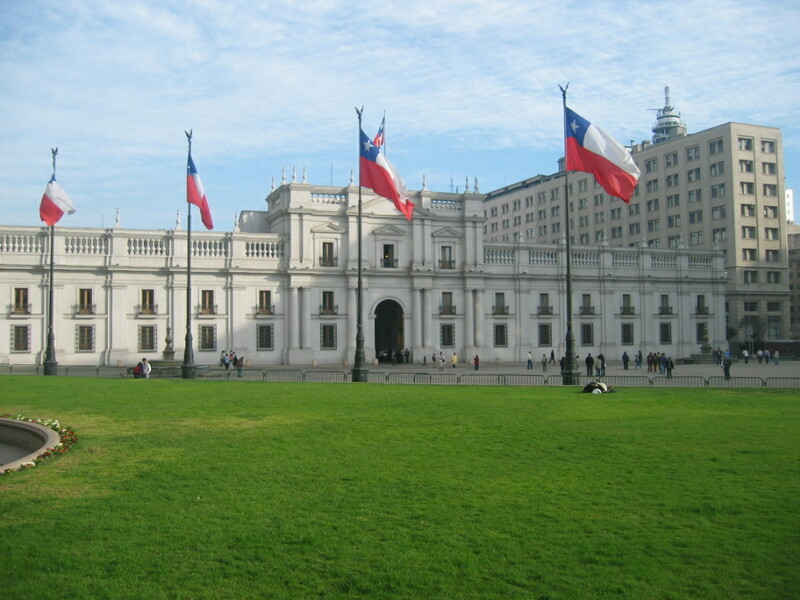 News of events, such as interim election results or economic performance indicators, were spun selectively, as were signs of Chile’s relations to other countries and international institutions. In general, the media tended to hammer away at their own pet themes, couched at times in ideological terms. And with facts differentially chosen and interpreted by the opposed camps, starkly contrasted versions of political reality were being purveyed to the Chilean public. Journalist interviewees continually conveyed a feeling, then, of being bound up in the political struggle and of having a deep stake in its outcome. None gave voice to a principle of media autonomy from political pressure — that journalists should stand above political conflict, independently reporting and commenting on it, or be in a position to exert an independent influence on civic affairs. Instead the Chilean media predominantly served as cheerleaders, including functions of display, giving a voice and a lead, and of mobilization. With journalists’ sources being highly party-aligned, their cross-party contacts having been reduced to near-zero, they could not be a force for societal integration. Specimens of what are nowadays called “fake news” even appeared occasionally in the press. In a conversation with French intellectual Régis DeBray in 1971, Allende complained about El Mercurio’s “shameful, implacable and never-ending distortions of the truth and the facts,” including the false allegation that he was a drunkard! How far the Chilean audience mirrored the country’s sharply divided media system wasn’t entirely clear at the time. My interviewees provided two different understandings of this: 1) that the audience was segmented in blocs close to party counterparts; or 2) that many in the audience might recoil from excessive politicization. For journalists with the latter concern, striking the right balance between disseminating political messages and catering for other mass interests seemed a problem. For example, an interviewed editor wistfully regretted the fact that on the previous night he had been unable to fit an item about a beauty contest into his politically stacked bulletin! Of course correspondence between elite and audience levels would have turned on the extent of selective exposure among readers, listeners and viewers. The emerging system could be presumed to have increased this, encouraging more people than before to attend to messages from their own side, while avoiding or discounting opposing ones. Such a tendency could have been matched at the interpersonal level with a decreasing frequency of communications between individuals of different political persuasions. Amidst the details of this story from the distant past of a distant country, two features stand out as disturbingly noteworthy for political communication in present-day liberal democracies. 1. Political and media polarization. “Confrontation is an everyday fact of life in Chile,” Allende once told Debray. It is true that conflict in words and deeds is inherent in politics. But in recent years, the conflicts have become more intense, being contested not only over rival interests but also over opposed values and social identity demands. That is why, and as the Chilean case illustrates, polarization can be so baneful—by dampening down, reducing, near-to-eliminating discourse offering constructive and effective ways of moderating, resolving, or partially at least, overcoming conflict. Words become weapons of war rather than aids to attempted enlightenment. The expression and circulation of dogmatic attitudes and simplistic approaches to complex problems are favored. An atmosphere of mutual enmity grows. To get a grip on the situation in Chile, Allende brought generals into his cabinet in his last year of office, which nevertheless failed to prevent Pinochet’s coup. The trouble is that polarization, especially when it is not confined to the political realm but becomes cultural and invades civic discourse more broadly, is a vehicle with no reverse gear. As with Chile, it is impossible to find an example anywhere else of a country where, once polarization has taken hold, it has gone into reverse. Such tenacity urgently demands thought and attention. Are any remedial steps conceivable? The equivalent of a “truth and reconciliation commission” for antagonists certainly is not. Exhortations of elites to moderate their approaches also seem lame. A potentially helpful way forward might exploit one of the tensions evident in modern democracies, the presence of policy and strategy divisions inside the ranks of major political parties. Kreiss (2015) interestingly suggests that intra-party dialogue over factional differences could soften polarization blows. And whereas commercially-run media systems may actually fuel polarization (because coverage of norm-busting outrageousness should attract audience attention and boost ratings), public service journalism could have a counter-balancing role, in broadcasting for example, by arranging dialogues and debates (not to- and fro- combat) among spokespersons of the main different outlooks. The sobering lesson: at some point polarization can end badly — in Chile’s case, the end of the Republic, in others a neo-authoritarian version of democracy in name only. Maybe polarization is not bound to end badly but it surely makes it easier for things to end badly! 2. A recasting of journalistic norms. Due to changes in its culture, Chilean journalism could not mitigate the ills of polarization. One of the numerous papers I wrote while in Santiago opened with the statement that, “Chile is in a state of transition so far as the media of communication are concerned.” That applied particularly to the quasi-professionalized practice of journalism, which had previously been to some extent influenced by traditional norms of political coverage, such as objectivity and impartiality. After 1970, however, a process set in whereby the professional ethic of journalists was subordinated to the political ethos of the organs that employed them. There was “no ethic of neutrality,” I was told more than once. The prevailing norms were those of commitment and loyalty rather than objectivity. Although there was some acknowledgement of the norm of pluralism, it typically served as a fall-back position for those who felt momentarily threatened in some way. Solutions to these problems are not readily discernible. Abandonment of the traditional journalistic norms would very likely only add fuel to the polarization flames. Whether journalists can be expected to avoid “false equivalences,” except in extreme cases (e.g. over climate change science and its denial) is questionable. Both their competence and their entitlement to decide which positions on controversial issues do not merit attention are doubtful. What they could do, however, would be to apply more often, more stringently, and more vocally the norm of “accuracy” to advocates’ assertions. And every now and then, they should be willing to discuss amongst themselves and with others — in academia and civil society — what the scale of legitimate debate is on the big issues of the day. to clarify the lineaments of an issue — e.g., for and against austerity policies. to analyze the sources of a problem — e.g., why workers’ earnings are lagging behind economic growth. to represent fairly different sides of an argument — e.g., between pro-life and pro-choice abortion policies. to ensure that marginalized voices and points of view can be heard — e.g., those of Occupy and CND. But NOT as a matter of routine, such as presenting some side’s rebuffing statement that does not really give added value to a debate, or aggressively challenging a protagonist in an interview, just because his or her opponent’s weaknesses had been vigorously exposed in other coverage. Something like that might be required! As declared in the introduction to this piece, it would be dangerous to carry on in politics and communication as we have been in recent years — beset by polarization and journalistic norm confusion. Nothing less than the preservation of a meaningful form of democracy is now at stake. The prospects of following Sandburg’s lead in his poem Prayers of Steel are hampered, however, by the close absorption of political leaders and mainstream journalists in challenging needs to keep afloat in rapidly changing and highly competitive conditions. Much could turn on whether they can nevertheless rise above (without discarding) their professional roles to pay serious attention to the tasks of reconsidering, revitalizing, and prioritizing their civic roles. I am grateful for ideas, comments and suggestions from Chris Anderson, Stephen Coleman, Dan Jackson, Mario Fuentes, Daniel Kreiss, Benny Pollack, Federico Subervi and Silvio Waisbord. This article is dedicated to the memory of the late Gonzalo Fernandez, then a young, thoughtful and congenial political scientist in the Catholic University of Chile, who arranged and took part in the interviews, but was fired after the coup and succumbed later to cancer. Jay G. Blumler is Emeritus Professor at the School of Media and Communication, University of Leeds. He has written extensively on journalism studies, public communication, the mediatization of politics, and democracy. Beyond the Three Faces of Power? Has Brett Kavanaugh Lost His Mind?